My last everyday notebook lasted just through the 2013 so it is time for a new notebook cover. 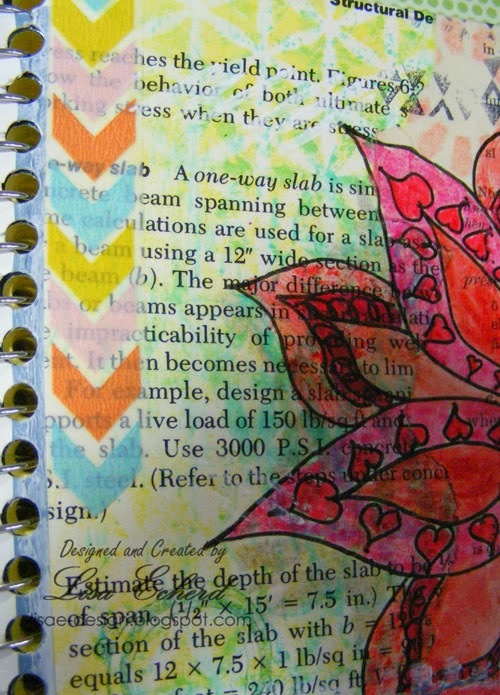 For this journal, I used some mixed media and just had fun playing. I'm not much of a doodler. The flower is the one flower I know how to draw. For the bottom layer, I first misted some book paper with various yellow and peach mists. Then I adhered them with Mod Podge - maybe a bit too much Mod Podge or either I wasn't patient enough with the drying. 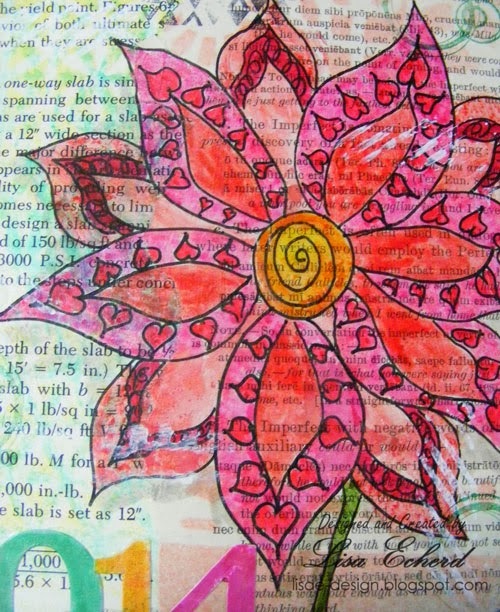 The flower is drawn with a Faber Castell Pitt pen. These are the best pens I've ever used. They draw over anything! I used the Big Brush pens to color. The final layers were stickers, Washi, and a little stamping. I added some gesso over a stencil in just a few places. I have to be careful adding white. For some reason I can easily get too much. 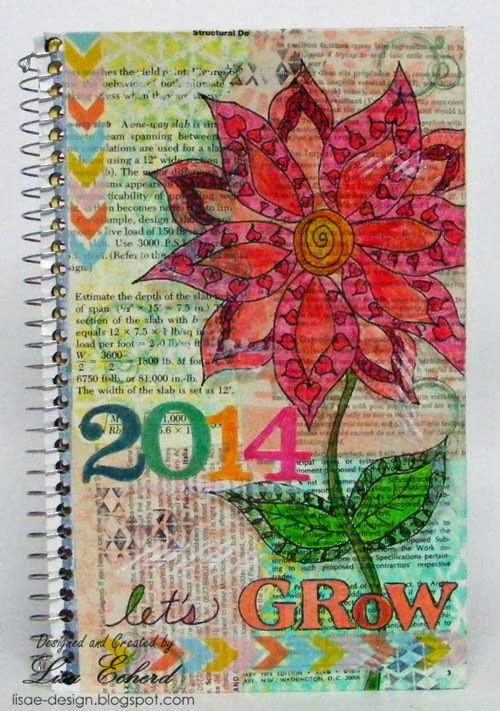 I did this cover on Saturday and when I went into my scraproom on Sunday, the notebook cover had curled. My excess Mod Podge had caught up with me, I guess. So I heated it with a heat gun and then put a heavy book on it. I don't know if that will work long term but it lasted long enough to get photos! Thanks for stopping by! 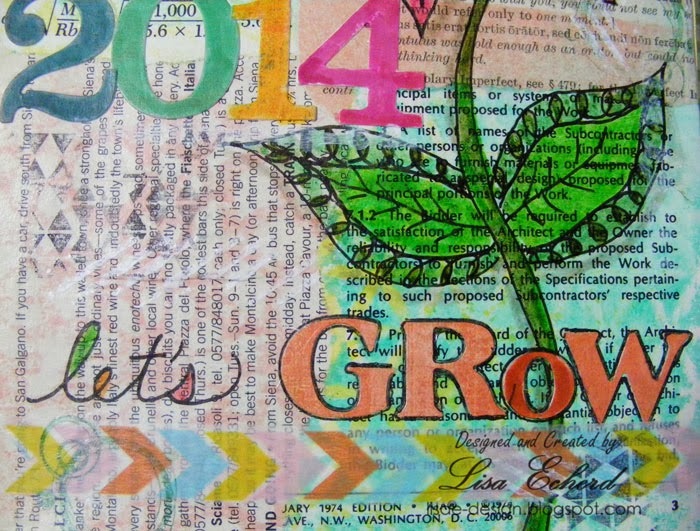 Tomorrow I have a new scrapbook page and video.